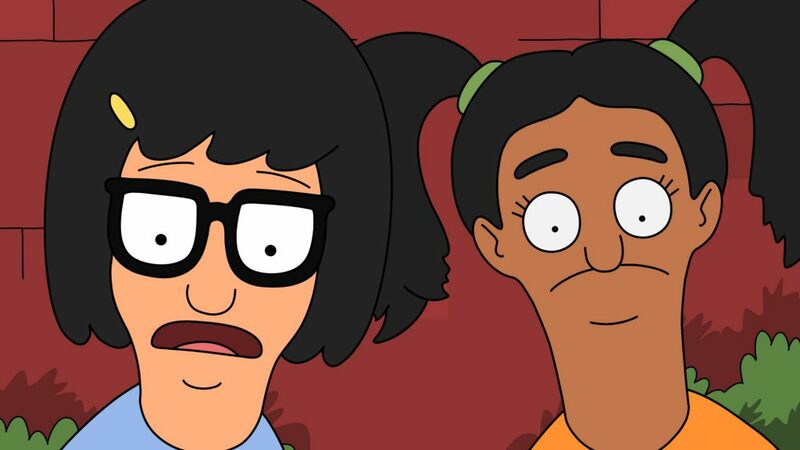 On this week’s episode of Bob’s Burgers season 9, Tina Belcher worked with a new character. Aparna Nancherla’s Susmita was a great addition. Tina was lucky to get paired with Susmita on a science project. She clearly knew what she was doing, while Tina’s best idea involved asking what the deal is with peanutbutter. I love that Tina is an awkward nerd who is terrible in school, an underrepresented type of person. Susmita built a machine that could transmit a message into space. Henry Haber believed communicating with aliens could only lead to doom, so he recruited Louise Belcher and Gene Belcher to help sabotage the project. There was a nice, genuinely childlike quality to this plot. Louise and Gene agreeing to convince Tina and Susmita that aliens got the transmission, and the girls believing it, worked because the characters were so young. It also added a nice layer that Tina and Susmita’s differing views on aliens paralleled their different approaches to dealing with crushes on boys. Susmita’s crush being Henry tied everything together nicely. I thought it was interesting and different that Henry pranking Susmita didn’t doom the relationship. Instead of the ending I expected where she got angry and he realized he’d sabotaged his own happiness, they had a genuine bond over their shared sense of caution. In the subplot, Bob Belcher accidentally ordered several non-refundable child size coat rags. It was great how specific and mundane this plot was. It felt like a true slice of life, which worked since the characters are so funny in any situation. The ending in which more customers came to Bob’s place because he had coat racks while Jimmy Pesto didn’t was very satisfying. Overall, this episode felt like a classic family sitcom. Both of the plots would make sense as episodes of something like Full House. Grounded episodes like this work for Bob’s Burgers because of the appealing nature of the characters. There were lots of laughs without it getting as whacky as other episodes.